Aller Retour Paris | The Henry Miller Library Went to Paris – May 5-11, 2014! Thank you to everyone who helped make Aller Retour Paris such an incredible success!! And in case you missed it…. 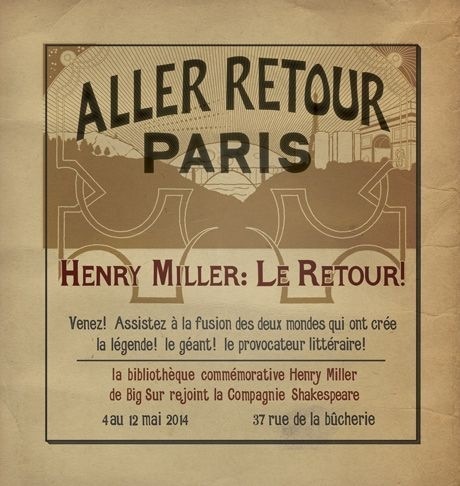 The Henry Miller Memorial Library, a non-profit 501 (c) 3 art center in Big Sur, California, held the inaugural Aller Retour Paris festival, a week-long symposium (May 4 -12th, 2014) that celebrated the city’s role in shaping Henry Miller as a writer and raconteur. Check out the schedule that was here. Check out photos of the week that was here. The week included art, poetry, dinner parties, film, music, and more. 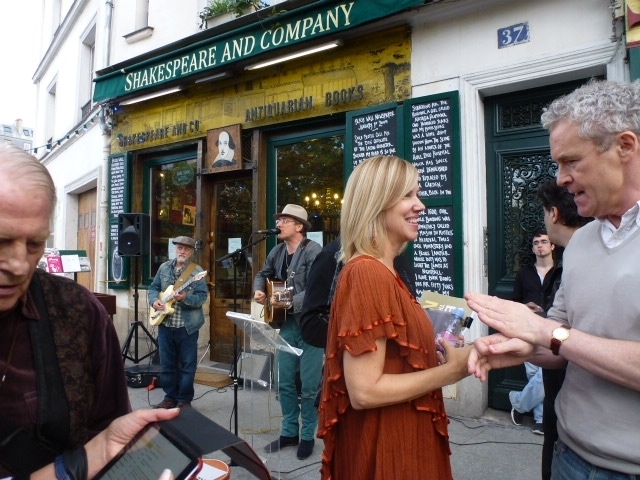 The festival was anchored by a pop-up bookstore at the legendary Shakespeare and Company (37 Rue de La Bucherie) and included an exhibit of rare manuscripts, letters, and books. * John Calder – The man who published Miller’s previously banned works in Europe. * Georges Hoffman — The son of Michael Hoffman, the man who founded Agence Littéraire Hoffman, Paris in 1935 and still handles worldwide rights in Henry Miller’s works. Georges and his brother Boris run the agency today.